Honouring Landor | The Equine Connection Coaching Services Ltd.
Landor left his body on Thursday, June 28th, in the evening. He lived for 27 and a half years in his big, majestic horse body. He was an angel, who supported many, many people in his time here on earth. I met Landor thirteen years ago when he was looking for a new career. His life as an athlete show jumper had come to an end, due to arthritis. He was born in Germany, and was trained with much discipline to jump high fences in competition. At some point, he moved to Canada, where he had a few different guardians before retiring from show jumping. Based on what I saw of his athletic performance, he was proud of his first career. He had no regrets, nor bitterness about the cost of elite sport to his body. He was the tallest horse I have ever met. I was told he measured 18 hands 2. When he was unloaded from the horse trailer at the barn I was renting, I did feel anxiety about his size. However, I quickly discovered his gentle spirit, and immense kindness. That first week I fretted about my ability to care for such a big guy. He must have sensed my hesitation about committing to being his guardian. 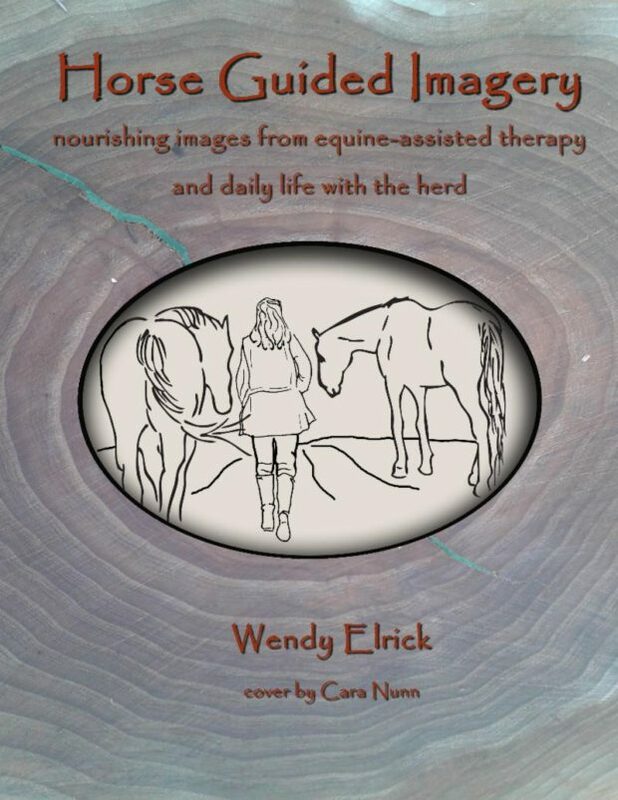 He would follow me with his eyes and I could feel his desire to be a part of the work I had jumped into – equine-assisted therapy. I did, after a week of deliberation, commit and am very happy I made that decision. My relationship with Landor is one of the most important relationships in my life. One of the first lessons Landor taught me was about natural health care. His physical requirements led me to engage the services of equine therapists, dentists, and to learn much about herbalism. He was transitioned out of horse shoes, and trimmed barefoot to increase the circulation to his feet. He had his teeth all fixed up to get rid of the infection in his mouth. He had multiple chiropractic treatments to address the health of his spine. He was massaged, and massaged, and massaged. As he aged, he would ask more and more for massage. Later in his life, he received cranial sacral treatments and other forms of energetic healing. He was very good at giving me his symptoms as a way of telling me what he needed. He had a period where he regularly had heartburn. He would give me the symptoms to remind me to put slippery elm powder in his food. As soon as I did that, my heartburn lifted. As we ventured further into the practice of equine-assisted therapy, he would remind me not to talk so much! He did this by giving me a hard stare. He worked to support me in trusting the unseen elements of the work. It took me a while to build this trust! However, I did finally get the lesson! 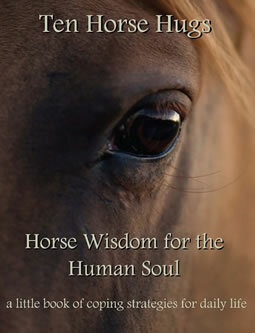 The teachings he offered people during equine-assisted therapy sessions were numerous. He taught people to question stereotypes, to create sacred space for themselves, to own their own personal space, to play, to contribute to community, to honour hard work, to attend to the injured masculine energy in our society, to use our wounds as a source of healing, to embrace our vulnerability, to be proud of our strengths and apply them, and so much more. Landor was a foundational member of the herd. He had a fatherly role. 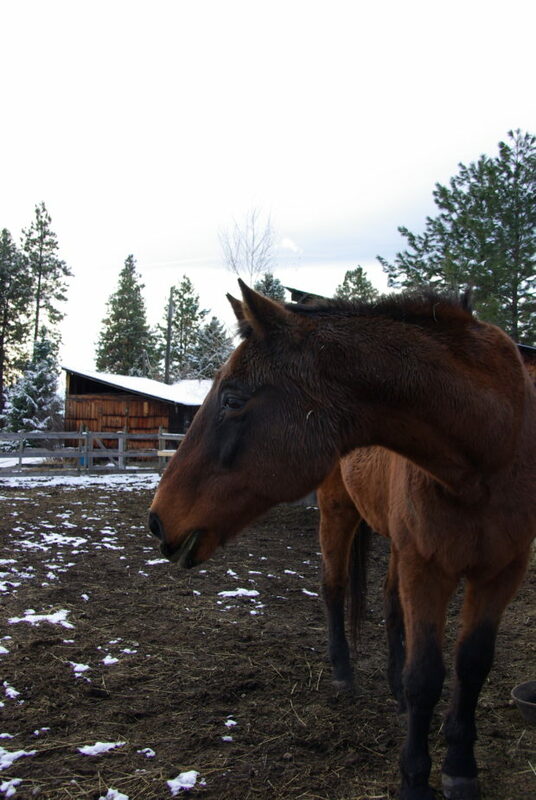 He supported other horses in their own development and healing. 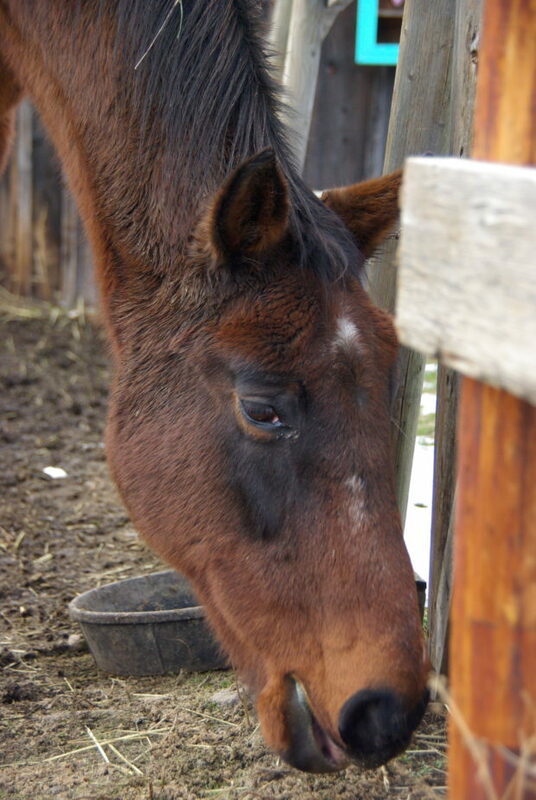 He co-parented with Amiga when Sweetie Pie was a foal. He helped Joey re-embrace living. He also was the primary caregiver of many mares who transitioned out of their bodies – Babe, Sadie, Amiga… He stood present when they passed. During his last year with us, Landor was mostly not asked to come into the arena for equine-assisted therapy sessions. He had gone into another role, that of the wise elder who is consulted on complex issues. Despite not being in the sessions, he was very much present. People continued to have an intimate relationship with Landor from the fenceline. His energetic presence was always palpable. During this last year, he taught some of us about the dying process. He also made it clear he wanted a ceremony attached to dying. Another teaching about the significance of ritual. It has been a great pleasure to be a part of Landor’s life on earth, and now he and I will continue our relationship purely in spirit. Thank you Landor.